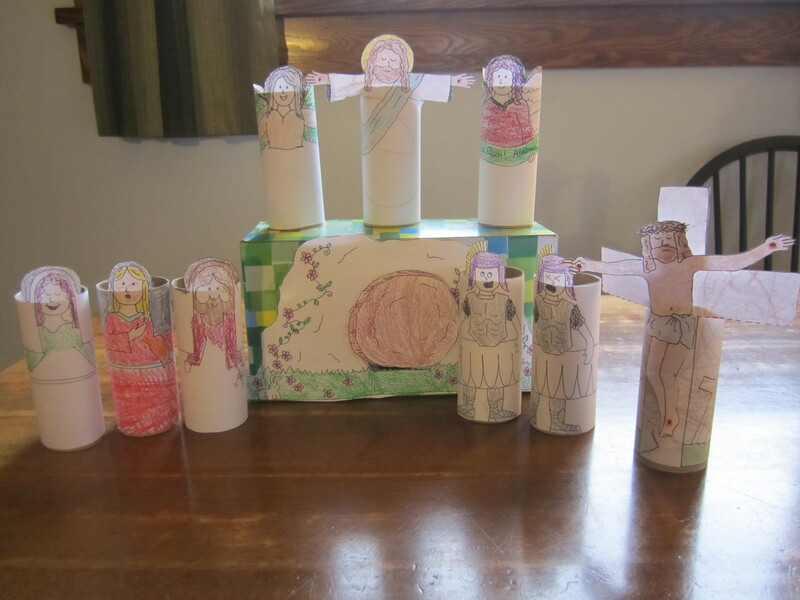 We made this set at homeschool group, but it would be a great Sunday School craft. The templates and directions can be found at Catholic Icing. Because the craft requires a lot of coloring, cutting and taping, I recommend it for an at-home project, or a class project. It would be a great display to have at church for the kids to act out the Easter story. This particular model was worked on by me and my girls, hence the interesting colors. Don’t forget to cut around Jesus and the angels’ arms so they stand out from their bodies.